OMG this is brilliant. 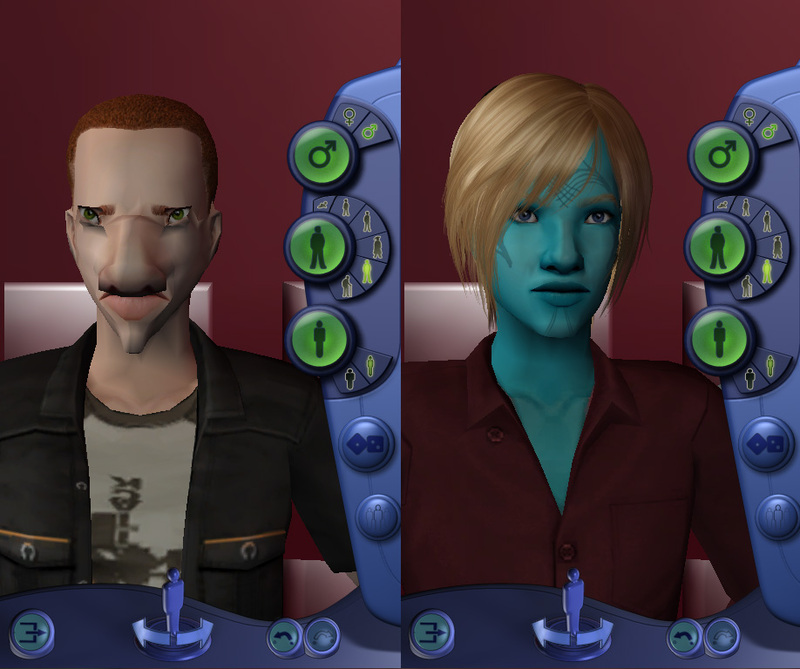 Ten years after everybody else, I've found out about Pooklet's method for creating random sims. This is amazing stuff. 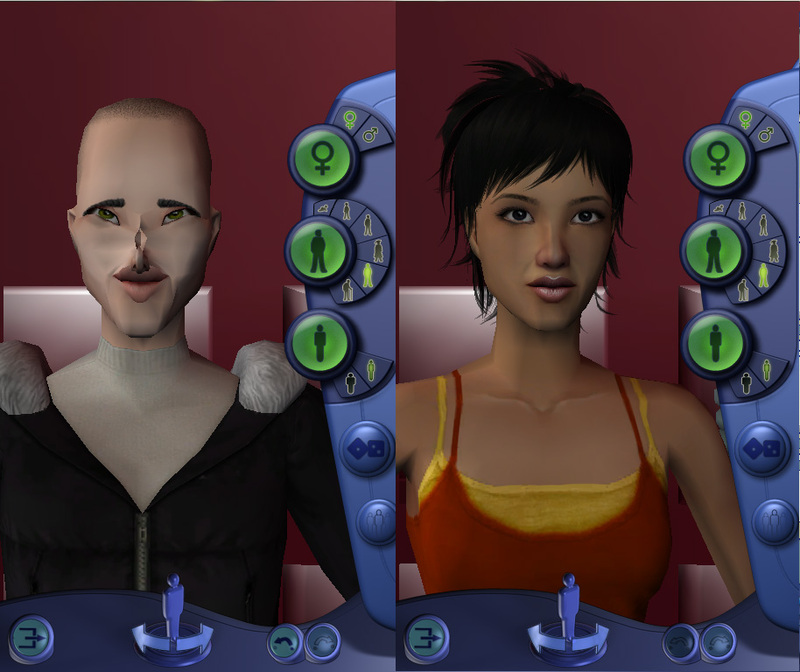 The final sims keep some of the features of their "original" version. For example, the blue dude still has an impressive sniffer when looked at from the side --- and he looks great. 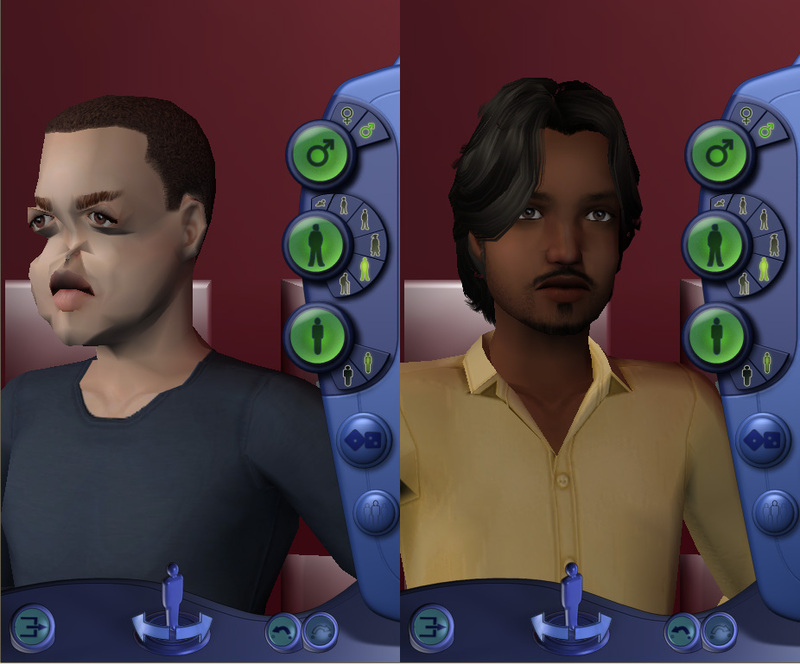 These four sims look very different from what I could have come up just by myself. Brill'. I can't wait to play or townify them.